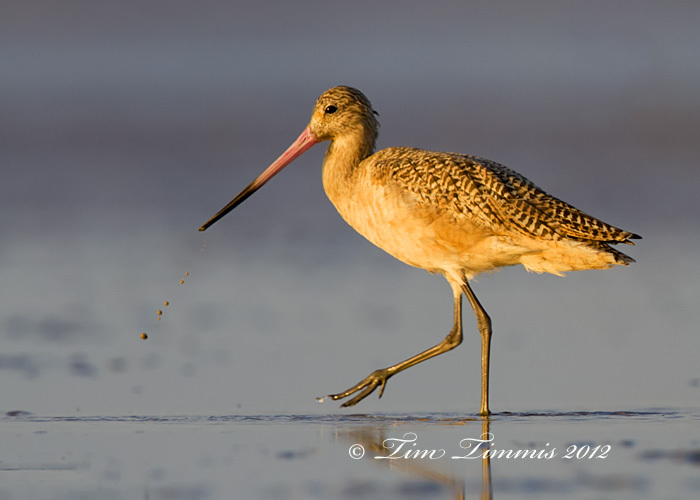 This Marbled Godwit had just stuck his beak into the sand and started walking away when I got this shot. He was spitting out the sand and it formed small droplets off of his beak. Close to a full frame shot taken while laying down with my ground pod on a sand bar. Caught this Marbled Godwit talking off while laying down with my ground pod. He was a couple of feet off of the ground at this point. Was using aperture priority but the shutter speed was low enough to blur the wings. Glad to see that his head was relatively sharper than his wings which is always the challenge with these type of shots. 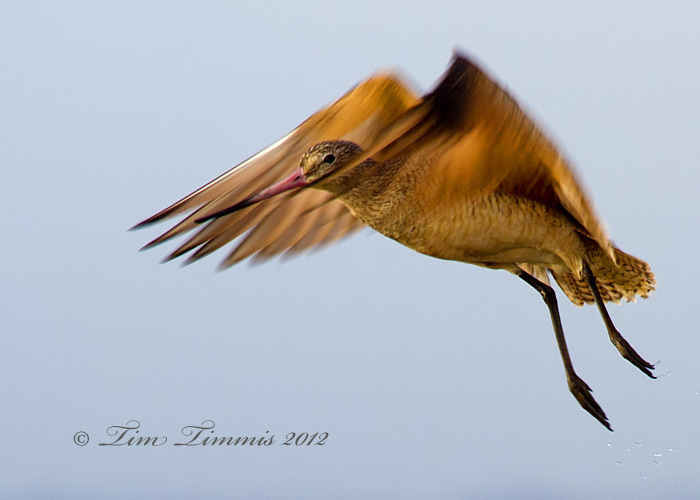 Taken with Canon 7D and 100-400 lens on Skimmer ground pod.